Luwana Quitiquit of Nice, Calif., died on Friday, December 23, 2011, at her home. She was 70 years old. Photo courtesy of the Quitiquit family. NICE, Calif. – In the days before the Christmas holiday, Luwana Quitiquit was tired. The 70-year-old Quitiquit, a respected local Pomo elder and basket weaver, artist and activist, had been the lead plaintiff in a case filed against Robinson Rancheria, whose council was trying to evict her and several others from their homes on the reservation. It was the latest assault on Quitiquit and her family, who in 2008 were disenrolled by the tribe. Also disenrolled at that time was her mother, who was posthumously removed from the tribe’s rolls. Quitiquit, who had formerly served on the Robinson Rancheria tribal council, told Lake County News at the time that the move to force her family out of the tribe was purely political and retaliatory. She had continued to fight, even as the tribe attempted to push her from her home, signing up to be the lead plaintiff in a lawsuit to fight the evictions. A judge recently had granted a delay in the proceedings until March, according to her sister, Wanda Quitiquit. But, as sister Wanda pointed out, Luwana Quitiquit was both busy and tired from the battle, and she was struggling with her health. “You would not believe the stress she was under,” Wanda Quitiquit told Lake County News. In order to pay for the retainer fee for the attorney representing her and others targeted for eviction, Luwana Quitiquit had just sold one of her exquisitely beaded American Indian dresses, Wanda Quitiquit said. With money to pay the attorney, Luwana Quitiquit believed things were going to be all right, said her sister. On Thursday, Dec. 22, she went to bed exhausted. The next morning, her son went to check on her. “She died in her sleep and we should all be so lucky,” said Wanda Quitiquit, who called her sister her best friend. Wanda Quitiquit said the fight to battle the evictions at Robinson Rancheria needs to continue on behalf of her sister. “They can't touch her now,” she said of the tribal council. Luwana Quitiquit was born in Isleton, Calif., on Nov. 13, 1941, to father Claro Quitiquit, of Filipino ancestry, and mother, Marie Boggs Quitiquit, who came from Robinson Rancheria. She was from a big family, with a total of 15 siblings. She grew up on Union Island in the Bay-Delta area near Stockton, where she and her family were employed as farm workers. 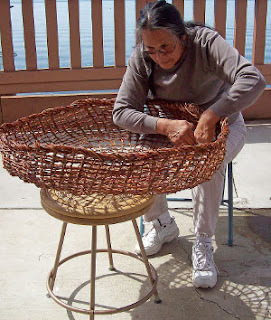 Luwana Quitiquit of Nice, Calif., demonstrated traditional Pomo basket weaving. 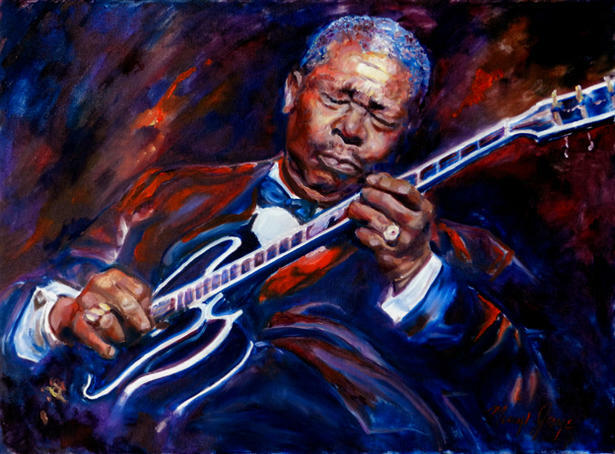 She died at age 70 on Friday, December 23, 2011. Lake County News file photo. Her interests and activism took root there, but grew beyond the boundaries of a youth spent in farming. 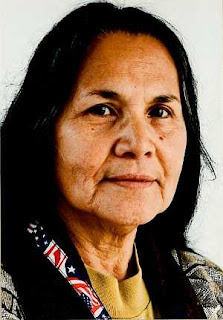 While in her 20s she worked at the University of California, Berkeley, and in November 1969 she took part in an earlier “occupy” movement, when she and other American Indians decided to occupy Alcatraz Island in the San Francisco Bay. Her family said she was one of the first Indians to step foot on the island as part of that occupation, remaining there until its end two years later, in 1971. Her older brother Lawrence Thompson, who died in 2009, also had been involved in the Alcatraz occupation, captaining a boat that transported people from San Francisco Pier No. 40 to the island. In the years that followed the Alcatraz occupation, Luwana Quitiquit continued her education. In 1977 she received her bachelor's degree in sociology from U.C. Berkeley. Since then, she had become known as a talented scholar, researcher and grant writer, and worked to address challenges facing natives in Indian Country. Her family said she even went on to visit New Zealand and Australia. Indigenous leaders there encouraged her to work to preserve her Pomo culture and heritage. Luwana Quitiquit studied Pomo basketry – renowned weaver Mabel McKay was among her teachers – and owned and operated the Pomo Fine Art Gallery in Lucerne’s Harbor Village Artists complex. She traveled around the state to share her talents, going to Albany last month to take part in an American Indian art show with her son, Alan Harrison. Luwana Quitiquit is survived by her three children, four grandchildren and two great-grandchildren, 11 of her siblings, and numerous nieces and nephews. She was preceded in death by her son, Tyrone A. Douglas; her parents and four of her brothers. Quitiquit's obituary can be viewed here: Luwana Quitiquit, 1941-2011 . E-mail Elizabeth Larson at elarson@lakeconews.com . Follow Lake County News on Twitter at http://twitter.com/LakeCoNews, on Tumblr at www.lakeconews.tumblr.com, on Google+, on Facebook at www.facebook.com/pages/Lake-County-News/143156775604?ref=mf and on YouTube at www.youtube.com/user/LakeCoNews . 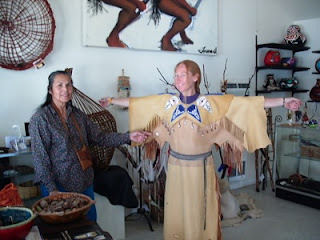 Joy White modeled one of the original handmade buckskin dresses made by Pomo artisan Luwana Quitiquit (left) of Nice, Calif. Quitiquit died at age 70 on Friday, December 23, 2011. Lake County News file photo.